In this blog post, I will show you how I create a Windows Nano Server Container using Azure Container Instance with Cloud Shell. Cloud Shell is an interactive and persistence command line management utility hosted on Microsoft Azure. With Cloud Shell we can storage scripts and commands and access them from anywhere with needing to install tools like Azure CLI. Because Cloud Shell is managed by Microsoft all the utilities are always up to date and available. Cloud Shell runs inside a Ubuntu Container and all data saved inside the Cloud Shell is locate in a storage account. The cost of Cloud Shell is very little because we are only paying for storage which cost around 1c per GB per month. For this post, I will create a new Recourse Group and a new Container once completed, I will delete the resource group and Container. Once my Container has been created, I will run the command below to get the DNS name and IP address of the Container. Using the DNS name I will open my browser and access the IIS home page. 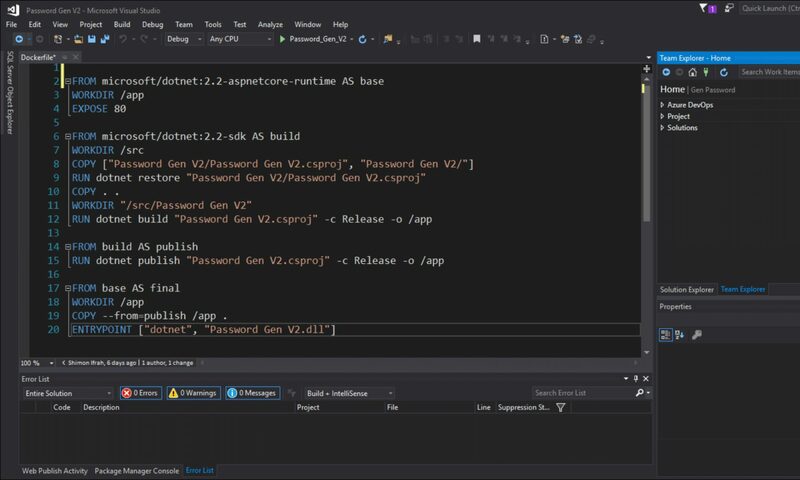 In my next, Article I will show you how I create an ACR (Azure Container Registry and run a custom image on Azure Container Registry.